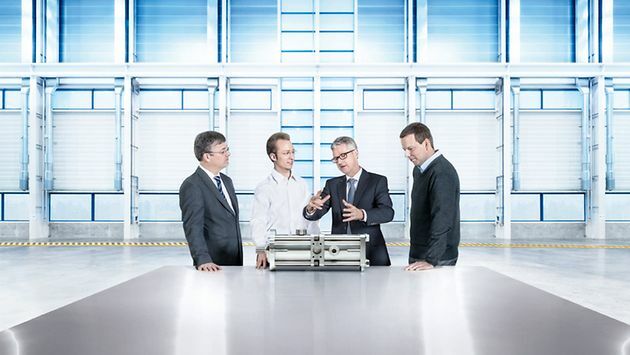 Innovative products and business ideas are the result of global research and development by the KSB Group. KSB’s technological strengths lie in hydraulic engineering, materials technology and automation. How do we do research and development at KSB? KSB has its own international network of research and development facilities. KSB also collaborates with universities, research institutes and partner companies with a view to turning new business ideas into products as quickly as possible. This results in efficient, high-performance components and systems for transporting fluids. Why is research and development important? Innovations increase revenue and improve returns. New products and business ideas also strengthen the portfolio and help to open up new markets. KSB development teams reduce the life cycle costs of pumps and valves using “smart” electronics. This includes, for instance, solutions for monitoring the operating status. Modern pumps and valves have to be energy-efficient above all else. 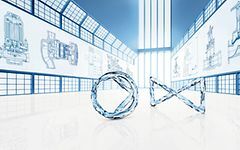 For this reason, KSB is constantly improving the hydraulic components of its pumps and valves – for low life cycle costs and optimum performance. KSB teams up with scientific institutions to research new materials and technologies for pumps, valves and systems. The objective is to create state-of-the-art equipment offering optimum component reliability. Wherever fluids need to be transported, controlled or shut off, customers worldwide trust our expertise as valve and pump manufacturers.